CALGARY - Reaching out to talk with Muslim youth who are at risk of being radicalized isn't enough to stop it from happening, say parents, clerics and police. Those leading the charge against radicalization say more has to be done to find and deal with the recruiters who convince vulnerable young people to give up their personal belongings, follow the teachings of the Islamic State and even travel overseas to fight and die on its behalf. "There is something going on behind the scenes which is hidden. 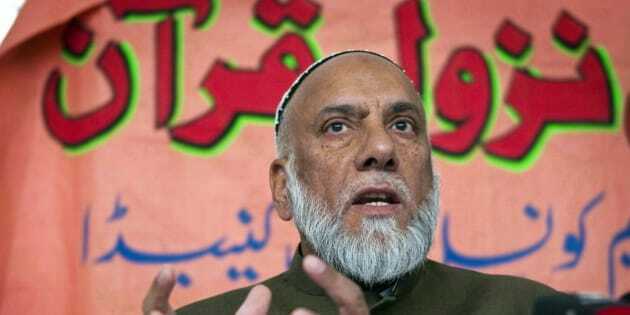 Unless we know the hand that is behind this recruitment it will be almost impossible to stop this recruitment and this radicalization," says Calgary Imam Syed Soharwardy, the founder of Muslims Against Terrorism and the Islamic Supreme Council of Canada. "I have no doubt that there are people in this country who are facilitating and funding the travel to Syria and Iraq. Those people need to be exposed. We just blame the Internet and social media, but I think that is very shortsighted." A handful of Calgary youth have already reportedly gone to the Middle East to fight for Islamic State of Iraq and the Levant. The federal government's annual national security report said at the start of 2014, it knew of more than 130 individuals who were abroad and suspected of terror-related activities. About 30 people with Canadian connections were suspected of terror activities in Syria. Calgary's deputy police chief says his department has had success working with Muslim groups to find young people who are "vulnerable." But Trevor Daroux agrees it is essential to find the people who are influencing those most at risk. "There has to be concerted efforts to find and identify those who are ... trying to exploit others through radicalization. The partnerships within the law enforcement community are really the answer to that," Daroux says. "Calgary, as well as every other city in this country and around the world, has to be very much aware that there are those individuals who will actively, face-to-face, try and radicalize those individuals." Chris Boudreau, whose 22-year-old son was killed while fighting with Islamic extremists in Syria, says there has been little sharing of information by law enforcement officials with those working in the community. Her son, Damian Clairmont, converted to Islam as a teen and reportedly died in heavy fighting in the city of Aleppo last winter as a member of the militant group Islamic State. Boudreau says her son was actively recruited by individuals in Calgary, so she knows they exist. "You can be guaranteed they're getting paid to do what they do. They're not going to put themselves at risk — they're just getting paid to go out and get more people and introduce them to these ideologies." Both Boudreau and Soharwardy want a national inquiry to shine a light on those who are working as puppeteers behind the scenes. Soharwardy says he was contacted by the parents of a 17-year-old boy who was prevented from going to Syria. They discovered that $5,000 had been transferred into his bank account to pay for his trip. The matter was turned over to police and that's where it ended. "Our very young children have gone. They are children and they have been recruited in this country to be soldiers for terrorists. This is a serious thing and the public has the right to know and the politicians have a right to know," says Soharwardy. "I'm looking for a national inquiry into the radicalization and the recruitment of all Canadians — the 130 more Canadians — and we want to know who radicalized, who funded." Boudreau says she understands it is difficult for police to find recruiters and to make criminal charges stick. She says a public inquiry would encourage members of the public to come forward and help with the investigation. "I believe they should be putting a lot more resources toward that. I think they should do what they've done in France — relax the laws so they can hold them even if it's on suspicion. Here they can't even do that," she says. "They need to make it feasible and comfortable and provide the right environment for people to come forward if they have any inkling or suspicion and be allowed to go and investigate and question those people." While community groups and those within the Mulsim community are reaching out to youth, the ones they are reaching are already engaged and less likely to be led astray. Boudreau says they need to reach people like her son. "It's basically anybody who's going through any transition in their lives — they're open, they're weak, they're seeking purpose," she says. "You're desperate and fed up and tired of hitting your head against the wall and somebody says, 'here's the answer for everything.'"